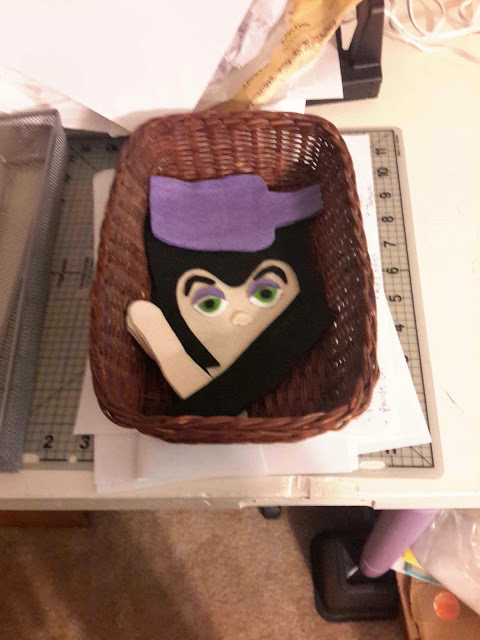 Started a new felt doll. She's a mini Maleficent. I know, why do another one, right? Well I never had a chance to add the dragon to my challenge piece and I really wanted to do that. I also cut out Goldylocks too. I'll show wips after the weekend. She looks so cute staring out from the basket.